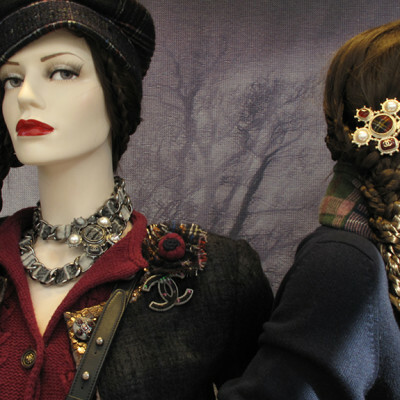 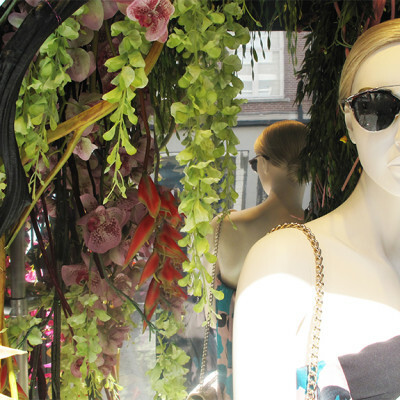 The mannequin is holding the “Lady DIOR” bag from white deerskin printed with a pink alstromeria flower. 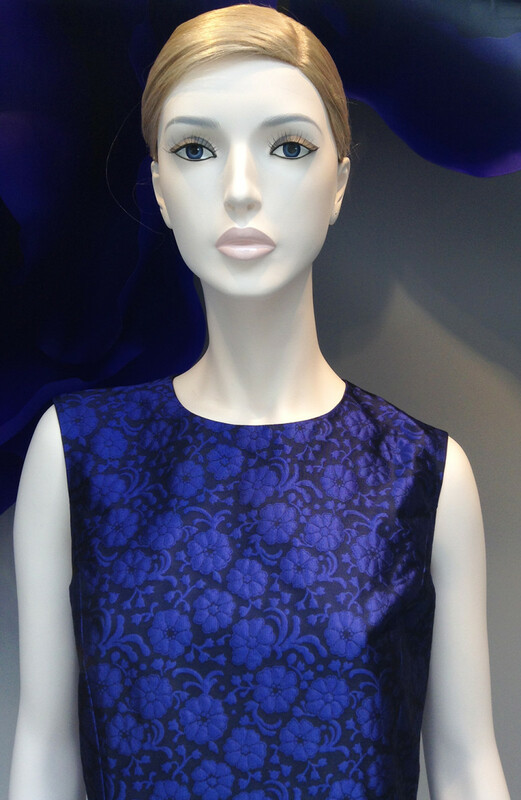 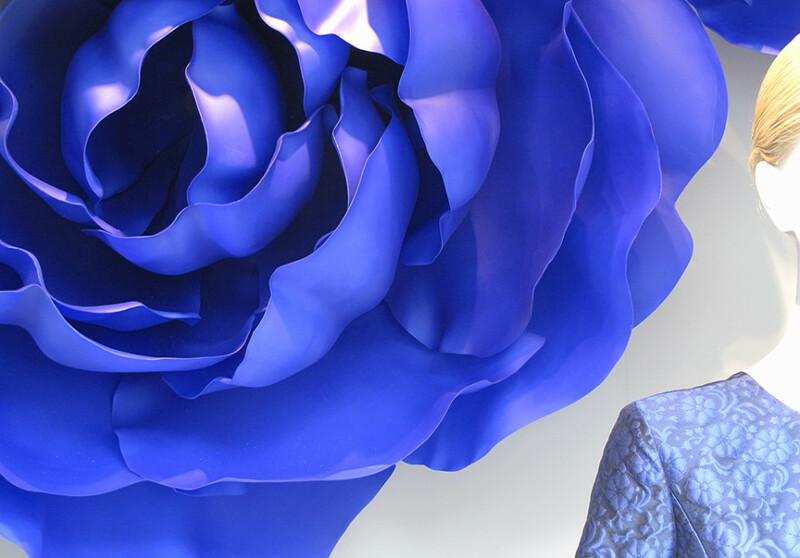 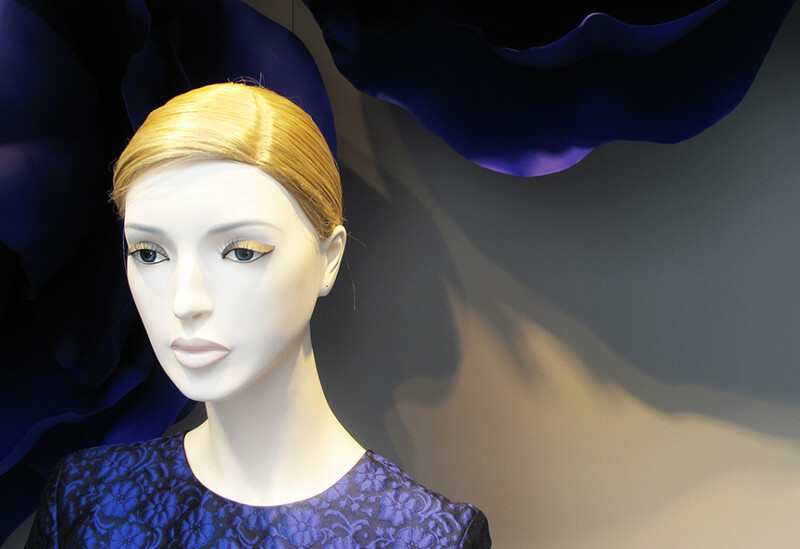 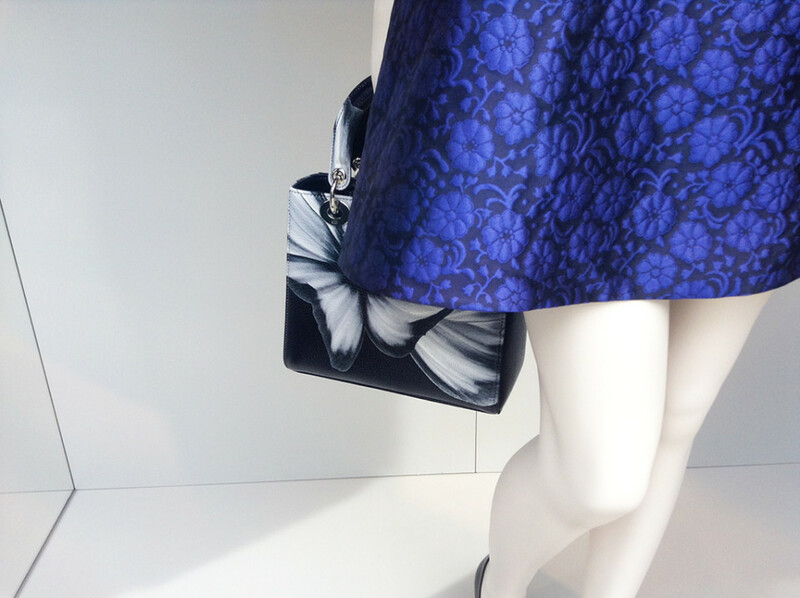 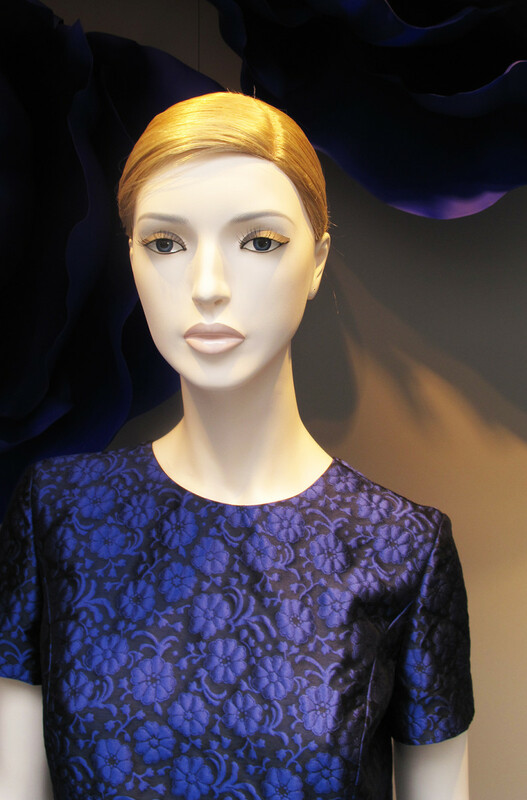 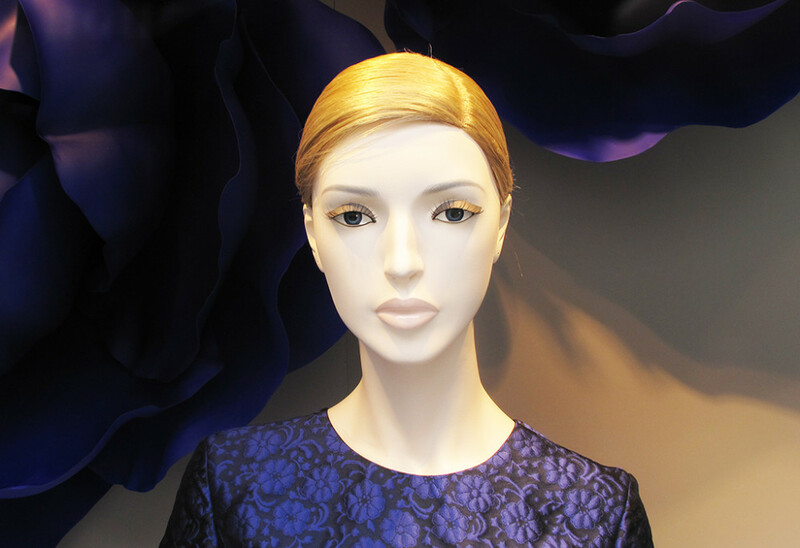 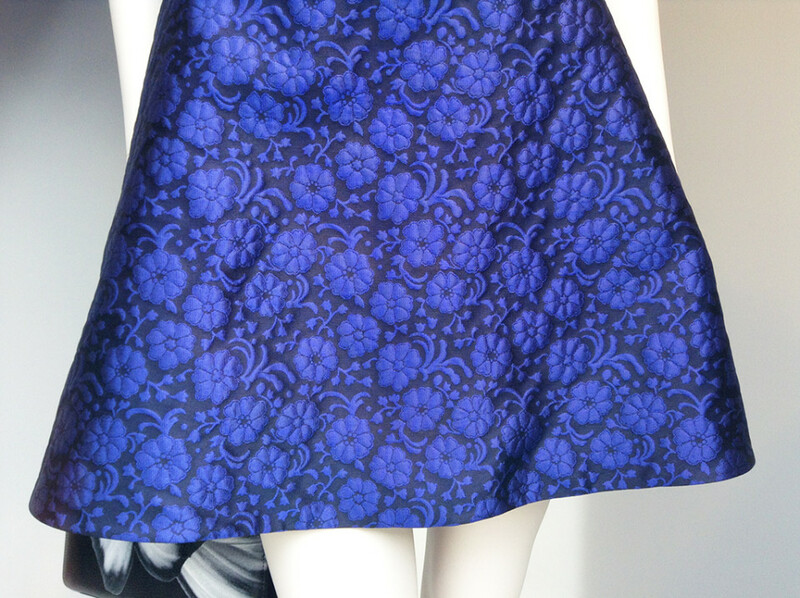 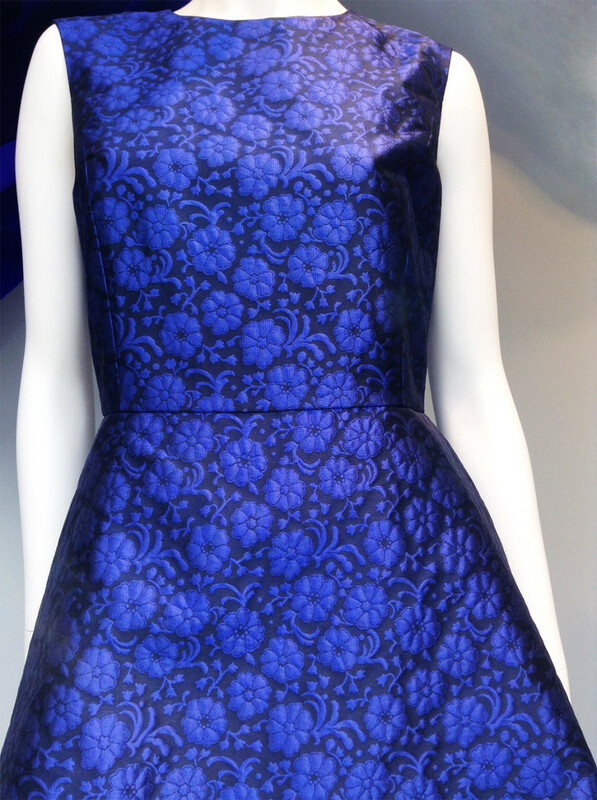 The mannequin is wearing the blue suede calfskin Dior pumps with the flower. 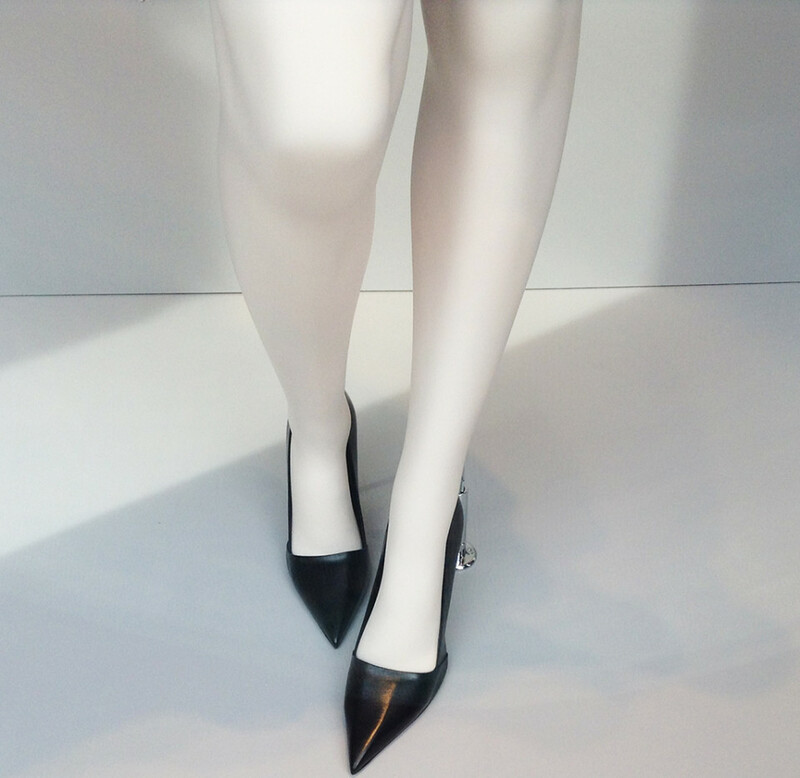 The mannequin is wearing the black leather Dior pumps.